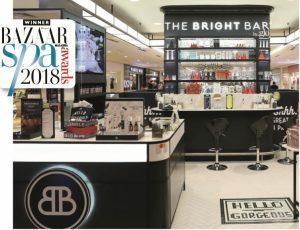 BAZAAR reveals the 75 exclusive winners of Spa Awards 2018. BAZAAR reveals the 75 exclusive winners of Spa Awards 2018. Indulge, relax, and find peace with high-tech treatments and all-natural rituals— only at these picture-perfect spas. 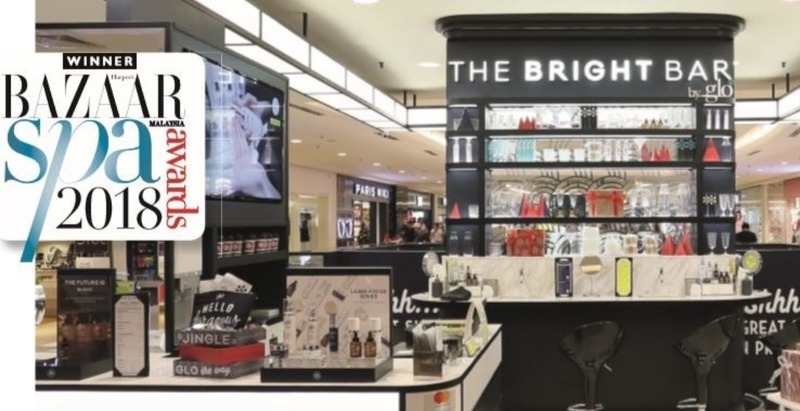 Step into the light at The Bright Bar by Glo, a facial bar that provides state-of-the-art treatments such as the FDA-approved XLight Supercharged Light Facial Therapy. Utilising the power of LED lights to treat specific skin concerns, expect to see fine lines blurred, skin texture improved, and blemishes removed. Contactless and non-invasive, this treatment is safe for all skin types and enlists different light colours to target different skin issues. Red light in XLight Renew coaxes the skin to rebuild cellular structure, the blue in XLight Acne eliminates serious acne without dehydrating skin, while the amber light in XLight Heal calms even the most sensitive skin types. Prepare to have your other senses stimulated during the 30-minute XLight treatment. Eager minds are put to rest with the soothing tunes through the noise-cancelling Bose headphones provided, as the LED device emits light waves deep into the epidermis for a brighter you. After six tracks, not only will you leave with a glowing complexion, but you’ll carry with you a brighter disposition, too. Fibre artist and Asia’s Next Top Model Cycle 2 winner Sheena Liam on her top picks for the season. This luxurious pre-serum offers a power-packed dose of energy into your skin. Karl Lagerfeld creates a Chanel Egyptian dream in the heart of the Big Apple.